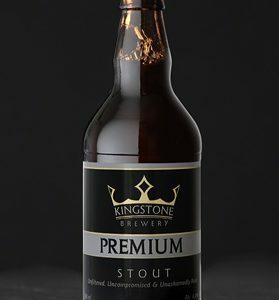 500ml bottles: The name says it all. 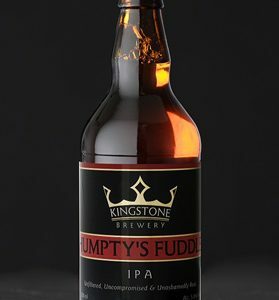 This is our award-winning Classic Bitter – a balanced, disctinctively hoppy, dry ale with a floral nose and smooth well-balanced finish. Classic is brewed with pale and crystal malted barley, bittered with a quartet of hops – Northern Brewer, Cascade, Willamette (a Fuggles hybrid) and Brambling Cross. The Great Taste Awards, which is organised by the Guild of Fine Food and often referred to as the Oscars of the food industry, is this year celebrating its 15th anniversary. A Great Taste Award is the authoritative, independent standard for Britain’s fine food sector: the gold & black logo is the benchmark for independently proven fine food. 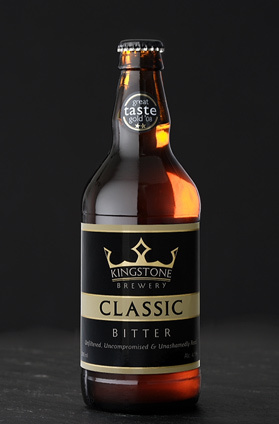 Our Classic bitter was awarded the 2* Great Taste Award in 2008.